The Carkeek designed IRC 47 Black Pearl is the handicap winner of the 2017 Cape to Rio Race. Owen Clarke Design made a considerable contribution to her success (which also comes on the back of a great result in the Giraglia), as one can see from this communique from the boat on finishing: " We have just finished the Cape2Rio race and had some very hard days running. We are all in agreement that without your rudder we would not have won this event !" Of course Owen Clarke are motivated and more than capable of delivering a competitive performance design package as a whole for an IRC/ratng rule design. 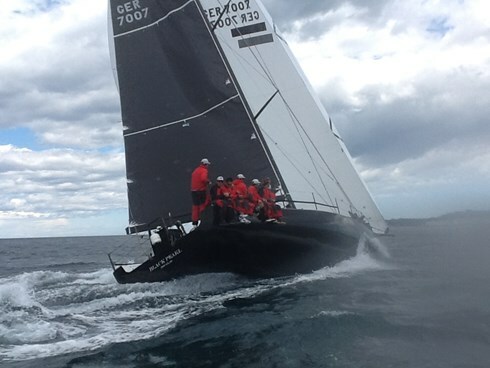 However, as with the above project we have experience of providing optimisation and consultancy services for race boats in many classes including but not limited to: Super Maxi, Maxi, Volvo 70, IRC and 12 metre.